Crochet is a craft that lends itself so well to the practice of mindfulness. Learning how to implement some mindfulness techniques can be especially useful during the busy holiday season. After all, it’s a joyous time of year, but it’s also stressful. 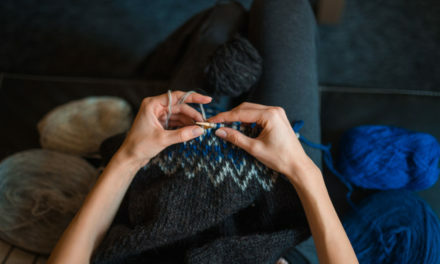 Even if you decide the holidays aren’t the right time to practice this technique, you might discover that it’s a New Year’s resolution to incorporate mindfulness crochet into your life on a regular basis. Mindfulness grounds us in the present moment and helps us to enjoy the little things in life so much more. Mindfulness is a popular word that people can interpret many different ways. However, the most common way it is used today is to describe the act of paying close attention to the present moment. It’s about letting everything else go and noticing the details in whatever is occurring at the present time. Mindfulness can be a way of grounding yourself. Sometimes we get wrapped up in our minds – our worries, our ruminations – and tuning into the present allows us to let those things go. Mindfulness can also enhance our appreciation of experience, even routine ones. The more we become aware of the experience, the more we can see the nuances that make it uniquely wonderful. You already know the craft. It’s safe, comfortable, and cozy. It’s a low-pressure place to start. Crochet is something you’re already doing on a regular basis. Therefore, you can use it to add mindfulness to your life without having to schedule something new in your days. 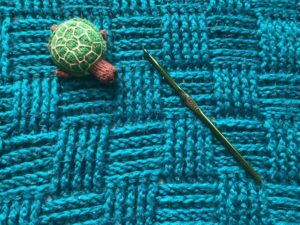 Crochet is a naturally rhythmic, relaxing craft. This lends itself well to mindfulness. It’s a craft which can enhance the senses. It’s a tactile craft that can be rich in color, which lets you easily focus on the senses of touch and sight. Tuning into the senses is one way to begin practicing mindfulness. Now that you’ve decided you’re willing to try this, how can you go about it? There are many different mindfulness crochet exercises. 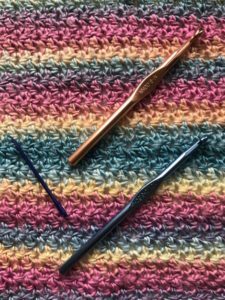 You’ll find some in my books Crochet Saved My Life and (especially) Hook to Heal, plus I’ll share one with you at the end of this article. 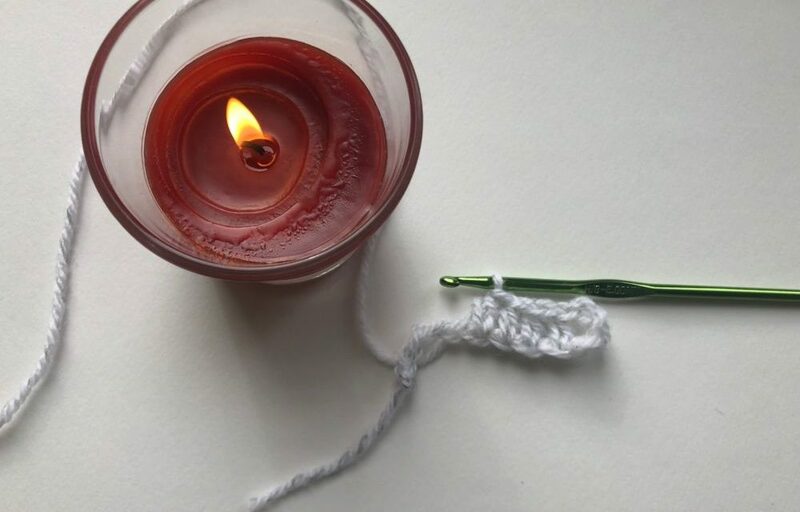 However, you can do little things anytime that you crochet to begin practicing mindfulness. Notice the detail it takes to make each part of a single stitch – the yarn over, inserting the hook, the ways each loop builds upon the next. It’s a marvel that you can celebrate when you pay close attention to it. Engage the senses. In addition to tuning in to sight and touch, as described above, you can do little things to engage your other senses while crocheting. Light a candle, burn incense, or turn on an oil diffuser in order to engage the sense of smell. Chew gum or such on a hard candy to engage your taste buds. Put on music or a podcast while you craft. Chances are that you do some of these things already; the trick is to become more aware of them as you craft. Bring attention to your counting. Almost every crochet project involves counting your rows and stitches. Attending careful to your count can itself be a practice in mindfulness. 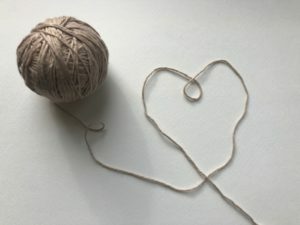 Another way to link crochet and mindfulness is to choose a certain cue – something you do frequently in your crochet work – as a reminder to be mindful. For example, each time that you start a row can serve as a reminder to pause for a minute and be mindful. At the start of each row, stop, notice each detail of whatever is happening at that moment. Take a deep breath. Then resume the work. The more your practice this, the more regularly you will incorporate mindfulness into your crochet, and, therefore, into your life. 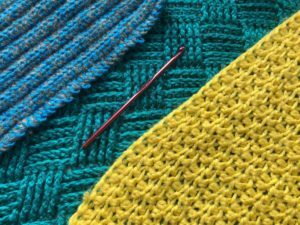 Many different types of crochet projects lend themselves well to mindfulness crochet. Some people like really detailed projects because the focus they require keeps the mind from drifting. On the other hand, you might find that a simple repetitive project, such as the repeated rows of a double crochet stitch blanket, allow you to relax well. Once you relax you can tune into your senses and practice mindfulness. In particular, you might find that prayer shawls and other intentional craft projects are great for mindfulness crochet. With a prayer shawl, you choose a recipient before beginning the project. Then you repeat a prayer as you stitch. You may enclose a written version of the prayer with the gift when the project is done. Even if you aren’t someone who traditionally prays, you can embrace the same idea when making special crochet items. Use a mantra, affirmation, favorite quote, or even a single work that you want to focus on. Repeat it with each stitch or row. It’s almost as though you work that thought into the finished item. Giving your attention to the words, and the meaning behind them, as you work is a terrific way to embrace mindfulness. Here is a mindfulness exercise modified from Hook to Heal that you might want to try. Read through the it first. Then find a calm area in your home to try it. 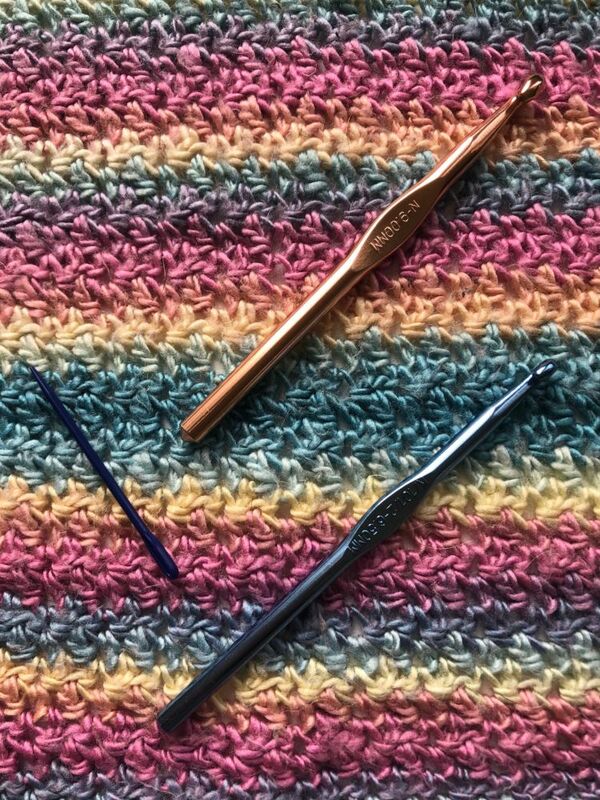 Choose a crochet hook and yarn – something you enjoy working with. Crochet a long chain. Then you will work a single stitch into each chain. The goal is to focus on each detail of each stitch, counting each stitch as you go. 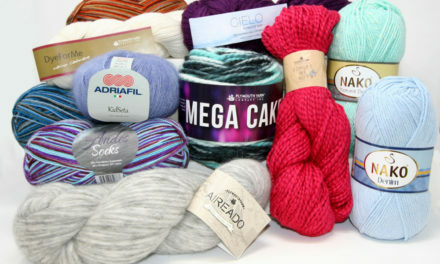 You can choose any basic crochet stitch that you like – I like half double crochet. Focus the entirety of your attention on crocheting one loop at a time, slowly counting it. Do not let any other thoughts seep in although they will try. 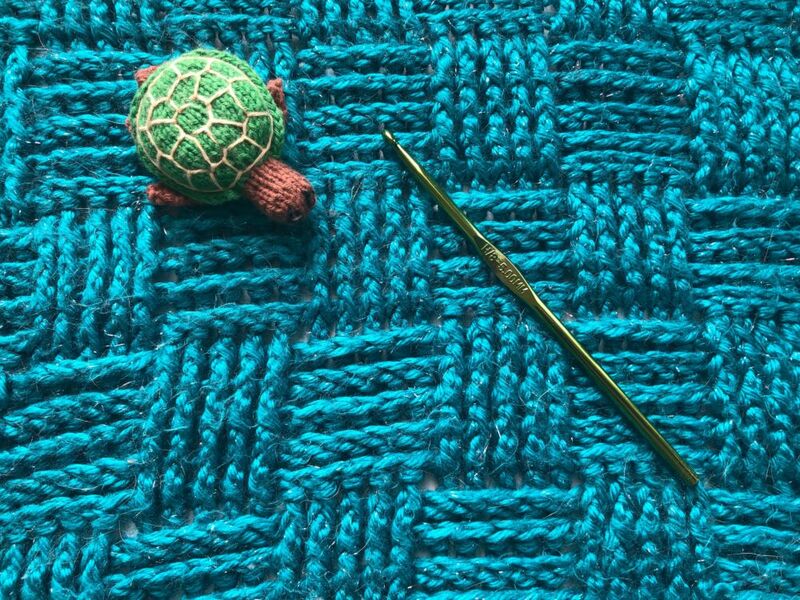 Each time that you notice a thought, frog the crochet chain back to the beginning of the row, and begin again. Kathryn Vercillo is the author of several books on crochet health including Crochet Saved My Life. 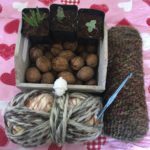 She publishes a monthly crochet newsletter through Patreon. A great article. I will definitely try this.